Amazon Senior Vice President and CFO Brian T Olsavsky said the US-based company has seen sales quadruple during the festive season (pre-Diwali sales) compared to last year. “We’re really encouraged with what we are seeing, both on the customer side and the seller side. On the customer side, active customer accounts are up 230 percent year-over-year. “We are in the middle of the Diwali season that is going really well. Sales are 4x what they were last year,” he said on an investor call. Olsavsky added that the company has been adding 40,000 products a day so far this year on its platform and the number of sellers has grown more than 250 percent year-on-year. “About 90 percent of those sellers are using our logistics and warehouse services. And as a result, we’ve tripled our fulfilment capacity year-over-year. “So, we are very encouraged, as I said last quarter in India, and continue to invest there very heavily,” Olsavsky said. However, he declined to disclose specific investment details. India is one of the fastest growing markets for Amazon. The online retail giant had announced an investment of $2 billion (roughly Rs. 13,000 crores) to expand its operations in India last year. According to a BCG report, the e-commerce industry in India is expected to touch $60-70 billion (roughly Rs. 3,89,990 crores – Rs. 4,55,044 crores) by 2019 from $17 billion (roughly Rs. 1,10,510 crores) in 2014. 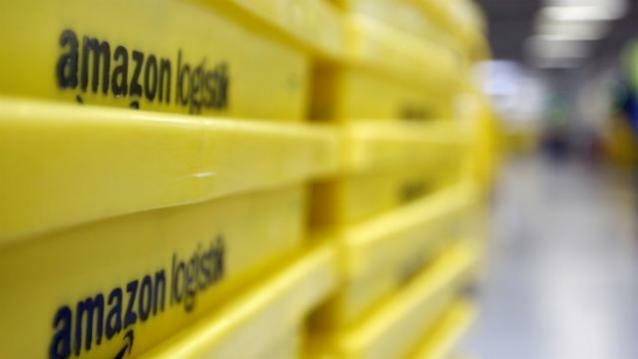 Amazon is investing heavily into setting up warehouses across the country to speed up delivery and efficiency. Earlier this month, it set up a new fulfilment centre in Pune, taking the total count to over 21 with a cumulative storage capacity of over five million cubic feet.